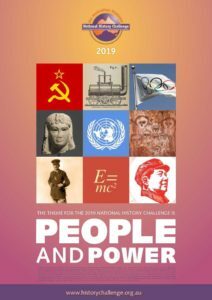 The theme for the 2019 National History Challenge was announced in December, at a ceremony in Canberra at Parliament House. The 2019 theme is People and Power. More information is available at the NHC website. Updated information for each of the special categories will be added as the information becomes available in 2019.